Rugby is the greatest sport on earth, full stop. American Football, cool, Major League Baseball, cool in October, Soccer, NBA and NCAA Basketball, madness. I repeat, rugby is the greatest sport on earth. As rugby grows in stature, especially here in the United States; we would do well to do a better job of minding our brand. We are fantastic at connecting and bonding within our own insular community, but if rugby is truly for all; that ain’t gonna cut it. Banter is great, rivalry is wonderful, but we need to think bigger and beyond our current community. I don’t want to become like vegans (jokes guys). I expect some backlash, but I’m grown, so fight me. Last I checked, we want more people playing. Very often, these people play other sports or are fans of other sports and their players. 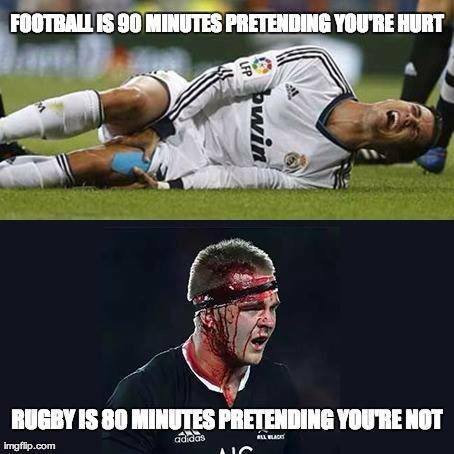 The memes of rugby vs soccer vs golf vs quiddich vs NFL vs billiards; reeks of an inferiority complex we do not need to have. Rugby is the greatest sport on earth, no need to belittle folks that play more boring sports. Related to #5, I saw this meme mocking NY Giants wide receiver Odell Beckham Jr. after he broke his ankle (very nasty injury on film); comparing him to a man, Wayne ‘Buck’ Shelford, who tore his scrotum while playing, got stitches and played in the match until he was KO’d and had to leave the pitch. Say it with me, rugby is the greatest sport on earth. Focus on displaying the greatness of our athletes on and off the pitch. 3. Stop Selling Rugby as an Alternative to Other Sports. Selling rugby as a substitute relegates it to generic brand status, we are more than good enough to be the main attraction. Rugby is a great recreational sport and a growing spectator sport. If we want rugby to be taken seriously in the US Sports market, we need it to stand on it’s own merit without comparison. NBC Gold Package is helping with that though. Also, lets not play the “safer than _____” game, it’s a recipe for disaster. Ask the family of Robert Paylor, USA Rugby owed this young man, Cal Rugby and his family far better. Also, we don’t want to remain an “alternative sport” that people only remember crazy parties or particularly bloody injuries. It has always ticked me off when someone finds out I play and coach rugby, their initial response is about some crazy injury, player, or party; nothing about the game itself. Rugby is the greatest sport on earth, played by the greatest athletes on earth. 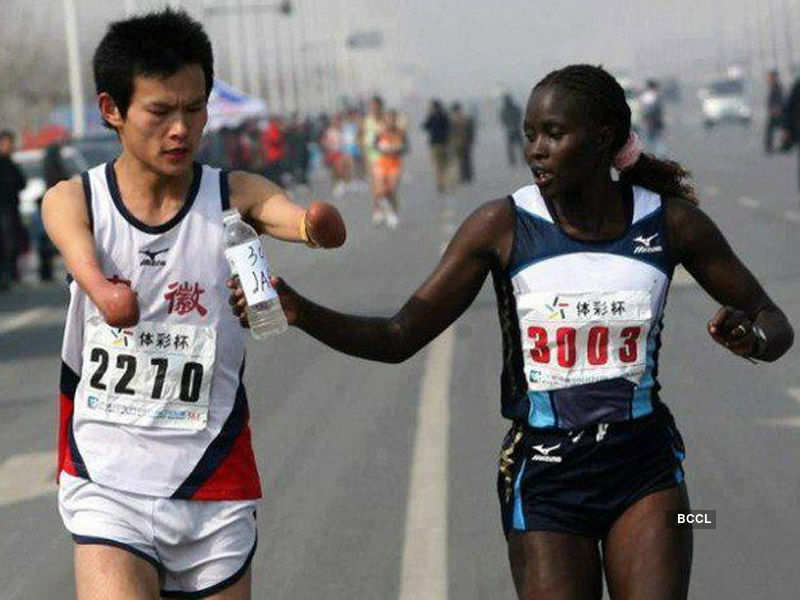 Athletes are both male and female. Also, I think we should be moving away from 19th century classism. Also another one for us to drop is in #5. This is hilarious especially given what I’ve observed in #4 and #5. Literally, every sport I have played, we shook hands before and after games. NFL players have prayer circles after every game, both teams, and officials invited. Players look after one another (even on the other team if there is an injury). Folks used to shake hands before dueling! Once again, rugby is the greatest sport in the world, no need for the pretentiousness. Also, it’s a unique sport in it’s own right, sell the sport itself and what makes it entertaining! That’s enough from me, what are some behaviors you’d like to see us as a rugby community stop doing?